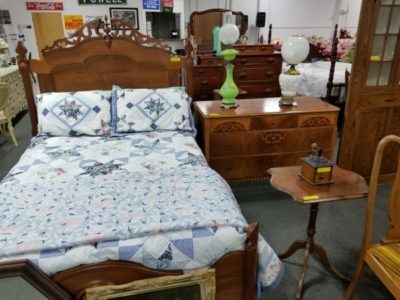 Day 1 – On Line Only – Estate Auction!! Location: 6729 Pleasant Ridge Rd. 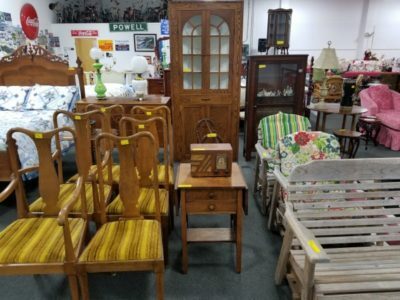 Tuesday, November 27 and Wednesday, November 28 At 7:00pm EST – 2 Day – On Line Only Estate Auction!!! We have over 1000 Lots, so we had to split it into 2 big sales!!! Both auctions will be On Line Only, all lots will be selling absolute to the highest bidder without minimum or reserve!!! 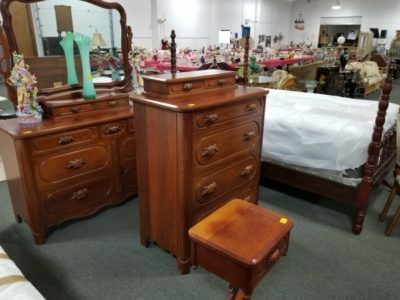 Coins, Furniture, Rugs, Glassware, Ceramics, Collectibles, Nick Knacks, Mirrors, Prints, Original Art Work, Photographs, Cast Iron and Copper Cookware, Dolls, Elves, Fairy’s, Santa’s, Electronics and lots, lots more!!!! 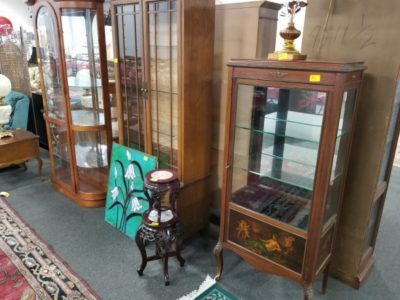 Lots of Asian influenced furniture and ceramics, Early American style furniture and glassware, French style furniture, Ceramics and porcelain from Germany and France, just lots and lots of good stuff, folks!! You must see this collection to appreciate what’s here!! 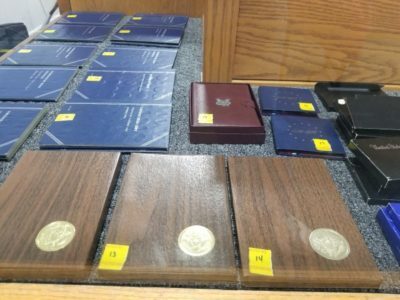 Coins and Currency: Mint Proof Set, Prestige Set, Uncirculate Coin Sets, Morgan Silver Dollars, Peace Dollars, Eisenhower Dollars, Silver Proof Ike’s, Brown Ike’s, Red Seal $2 Bills, Lime Green Seal $20 Bill, Foreign Currency and Coins, Lots of Silver Quarters, Halves, Dimes, Rolls of Buffalo Nickles, Silver War Nickles, Indian Head Pennies, Wheat Pennies and Lots More!!! Furniture: Davis Cabinet Co. – Nashville, TN – Lillian Russell Bedroom Suite and an Asian Style Curio Cabinet, French Provincial Bedroom Suite, Antique Walnut Bed, Oak Corner Cabinet, English Oak Dining Chairs, Pine Glider and 2 Porch Chairs, Pine Curio Cabinet, French Provincial Curio Cabinet, Wrought Iron Shelves, Chaise Lounge, Reclining Love Seat, Sofa, Ratan Style Sofa and Chair, Large Glass Top Round Dining Table, Ratan Style Dinette Table and 4 chairs, Plant Stands, End Tables, Coffee Table and so much more!!! Glassware – Ceramics: Nice collection of R.S. 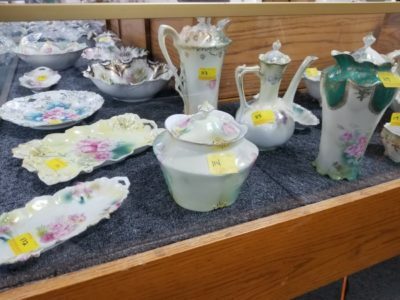 Prussia Bowls, Relishes, Cream & Sugar, Chocolate Pots, Vases, etc. ; Cut Glass Bowls, Nappy’s, Relishes, etc. 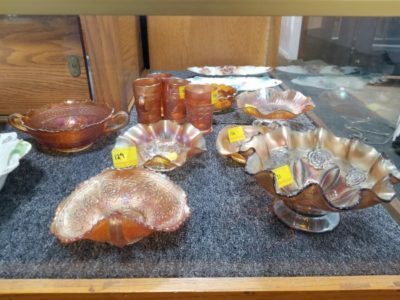 ; Elegant Glassware: Fostoria, Heisey and more; Cranberry Glass and lots more!!! Cookware: Some of the best cookware we have ever sold!!! Le Cocotte Staub Cast Iron Dutch Ovens – made in France; Mauviel, Ruffoni and Bachmara Copper Cookware!! You ask me what is so special about those? I tell you to google them and then go to William-Sonoma and buy them if you don’t think they are special!!! Misc. : Show Stopper Limited Edition Dolls, Elves, Fairy’s and Mermaids; Mark Roberts “Sweet Nothings” 48″ (yes, 4 foot tall) Santa in Original Box!!! 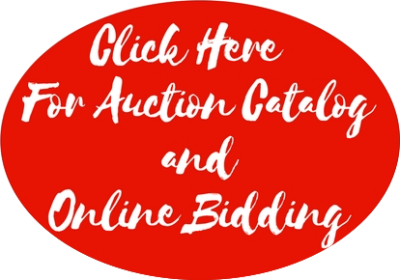 Seriously folks, these 2 auctions are a must see!! Some really, really good stuff!! Come and see for yourself!! 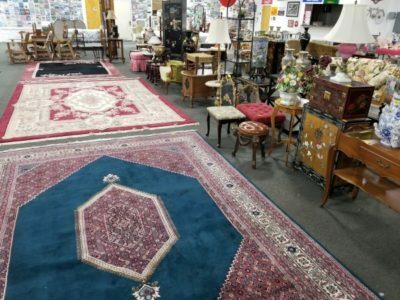 Both auctions will be soft close – Lots will remain open until all bidding activity has ended. If no activity within last 2 minutes of count down, item will close. If someone bids within the last 2 minutes, the bidding will extend an additional 2 minutes. Once the count down clock hits zero, it will say “closing”, once it says “closing” no more bids will be accepted on that item. Pick up/Removal: Thursday, November 29 and Friday, November 30 from 8:30am – 5:00pm EST. If you would like to pay by cash or check, you must do so by 2:00pm EST on Thursday, November 29. After 2pm on Thursday, All outstanding invoices will be charged to the credit card on file with Hibid. We are not shipping any items from this auction with the exception of coins. All other shipping needs will need to be handled by Package Manager. You can find their contact information under the shipping tab in the terms and conditions section.